Fueled by the success of Brian Boncher’s ‘Ritmo Celoso’, which has remained #1 on the Traxsource – Afro/Brazilian/Latin Chart for over 7 months. Tru Musica has compiled this new release featuring 11 House tracks inspired by the Latin rhythms from around the world. 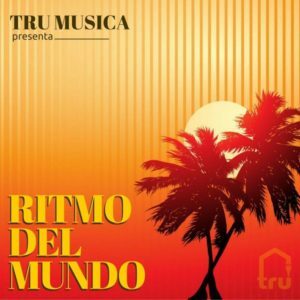 ‘Ritmo Del Mundo’ features music from Brian Boncher, Def Dasm, Jamie Prado, Midnight Dubbers, Martin EZ, Nevalu, Rees Urban and Victor M.